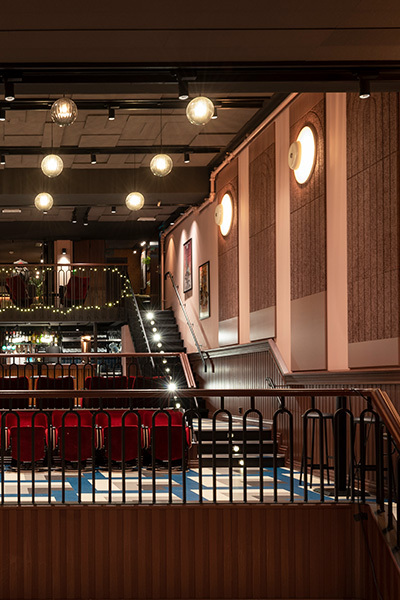 Architect, James Richardson, chats with us about about the Festiviteten Bar & Scene – an adored establishment that’s been serving generations of Hamar, Norway residents for the past 100 years. What were your initial thoughts about this project? From our first site visit, it was clear that this space had something special. Not only in its original architectural & interior features but also in terms of its place in the local community. As this was a long established cinema, the local community held warm memories of the venue. We wanted to build on that heritage while breathing new life into the space. It was paramount for us to retain as many original features as possible, while also having to deal with the practicalities of integrating the robust acoustic solution. From our first site visit, it was clear that this space had something special. How did you hear about BAUX? We have successfully used BAUX Wood Wool products for a number of projects to date in a variety of applications & we will continue to do so. How did you choose the right pattern for the BAUX wall design? 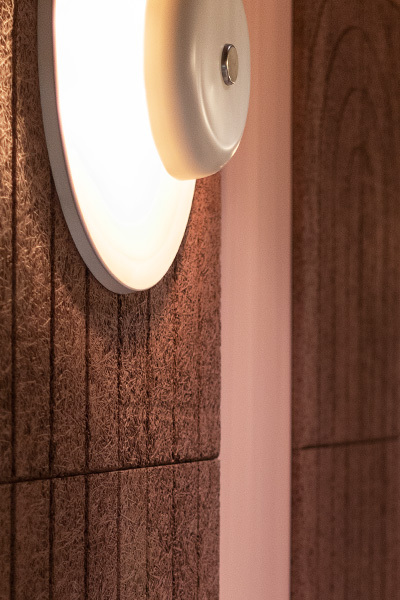 The style of the original interior dates back to the art deco period & as part of this, we were fortunate enough to have the original circular wall lights still to reinstall. These large circular lights complemented the BAUX Wood Wool Curve & Arch patterns perfectly. So the BAUX acoustic panels rapidly became integral to our design from an early stage. The curves on the panels worked really well when we re-installed the original wall lights over them. They were perfect for the Art Deco look we were keen to build upon. You choose curve and arch panels in this project, how did the curved lines change the design? What would be your dream BAUX project? It would be good to continue the exploration when incorporating BAUX products into our projects to fully exploit the creative potential. 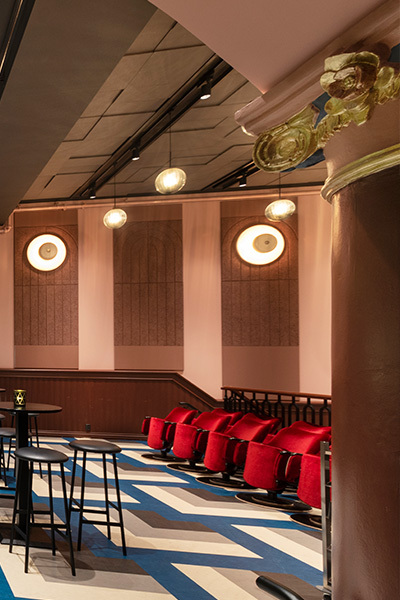 Learn more about the Festiviteten Bar & Scene created by James Richardson, or visit our project references for other BAUX acoustic interior design projects.